Home computer users are flooding help lines looking for advice about how to clean the latest web virus off their machines. Since the MSBlast or LovSan worm made its appearance on Tuesday the virus is thought to have infected more than 210,000 systems. Many of the machines infected belong to home users who are struggling to loosen the grip of the malicious program. A month of warnings about the virus has meant businesses have prepared defences against the worm, but many home users have been caught out. Computer retailer PC World said it had been inundated with calls from customers saying that the worm is causing their machine to crash repeatedly. A spokeswoman for PC World said it had drafted in extra staff to helplines and in-store clinics to cope with the number of queries. Broadband net service provider Telewest said calls to its support desk had increased significantly but said it saw no need to cut off customers caught out by the virus. Telewest switched off the net connections of customers with machines infected by the Code Red and Nimda viruses in an attempt to limit the excess of traffic they were generating on the cable company's network. Microsoft's support centre in the US was overwhelmed by calls and many people struggled to get through for advice. 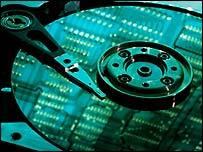 Most anti-virus companies have now produced programs that disinfect a computer suffering the attention of MSBlast. Users have been urged to download the program from Microsoft that patches the vulnerability exploited by MSBlast or they could be re-infected. Many users infected by the virus have struggled to download the patch because the malicious program is hogging their net connection and forcing their machine to reboot regularly. Users suffering this problem are advised to disconnect their machine from the internet and disable one of the components that the virus uses. This component is called the Distributed Component Object Model, or DCOM, protocol and Microsoft provides advice about how this can be turned off in the versions of the software affected by the worm. With DCOM disabled users should find it possible to stay online long enough to download a program to clean the worm off their machine and to get hold of the patch. Security firms such as Symantec and Trend Micro have published a step-by-step guides to help users clean up their computer. As yet it is unclear how many machines have been infected by the virus. One security firm estimated that it has compromised more than 1.4million net addresses. The true extent of the spread of the virus is likely to become apparent on Saturday morning when infected machines are supposed to launch a co-ordinated attack on the Microsoft's Windows update site. "Many have had their lives turned upside down by the 'Blaster' virus, which has encircled the globe"